The deadline for filing of individual tax for Year of Assessment (YA) 2015 is on April 18. Is it your first time to file your tax in the city-state? Not familiar with Singapore’s personal income tax filing process? Here are key information you need to understand before filing your individual tax. Who can be considered as Singapore tax residents for a specific Year of Assessment (YA)? √ Singaporeans who are normal residents in the city-state.Singapore Permanent Residents (SPRs) who have made Singapore their permanent residence. √ Singapore Permanent Residents (SPRs) who have made Singapore their permanent residence. √ Foreign individuals who have stated in the city-state from 183 days or more in the year prior to the current Year of Assessment (YA).Foreign individuals who have worked in Singapore for 183 days or more in the year before the Year of Assessment (YA). √ Foreign individuals who have worked in Singapore for 183 days or more in the year before the Year of Assessment (YA). For non-tax residents, employment income is taxed at 15% or the resident rate—whichever yields the higher amount. On the other hand, all other income including Directors’ fees, consultation fees and such will be taxed at 20%. For Year of Assessment (YA) 2015, Singapore resident individual taxpayers will be entitled to a 50% rebate on their net tax payable, capped at S$1,000, as part of the Republic’s Jubilee celebration. Qualified individuals are not required to apply for this rebate as the Inland Revenue Authority of Singapore (IRAS) will automatically compute the rebate. Since the rebate was announced during the SG Budget 2015 announcement on the 23rd of February this year, those who have received a Notice of Assessment (NOA) from IRAS prior to the announcement can expect a revised NOA including the computed tax rebate. Any excess payment made will be rightfully refunded by IRAS within thirty (30) days upon receiving the revised NOA. 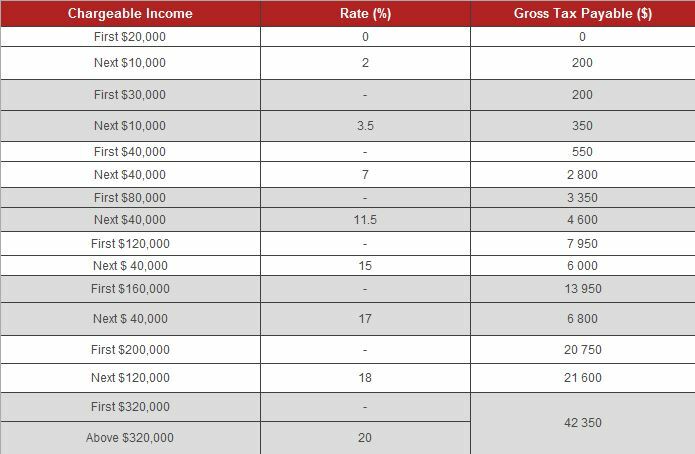 To easily and conveniently estimate your individual tax, just use our FREE Singapore Individual Tax Calculator. The filing of individual income tax returns for this YA is from March 1 until April 18. You will be required to provide your SingPass in order to file. SingPass is a common password that allows individuals to access Government services that are available online—including IRAS’ services. You may request for a SingPass online through www.singpass.gov.sg. The process takes four (4) working days if you have a local address. You may also go to the nearest SingPass counter location for immediate issuance of your SingPass. Need assistance in filing your individual income tax? We have a skilled team of tax specialists who can ensure your income tax is filed accurately and timely. Our services include tax planning, preparation of tax returns and preparation of IR8As. Schedule a free consultation with our specialist or contact us for a quotation.